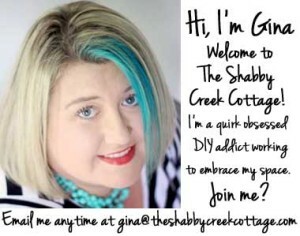 I love hosting people at my house, so much that I do it for my family every Sunday. Cream cheese sausage balls have quickly become one of the most crowd-pleasing menu options that I always get asked to make. 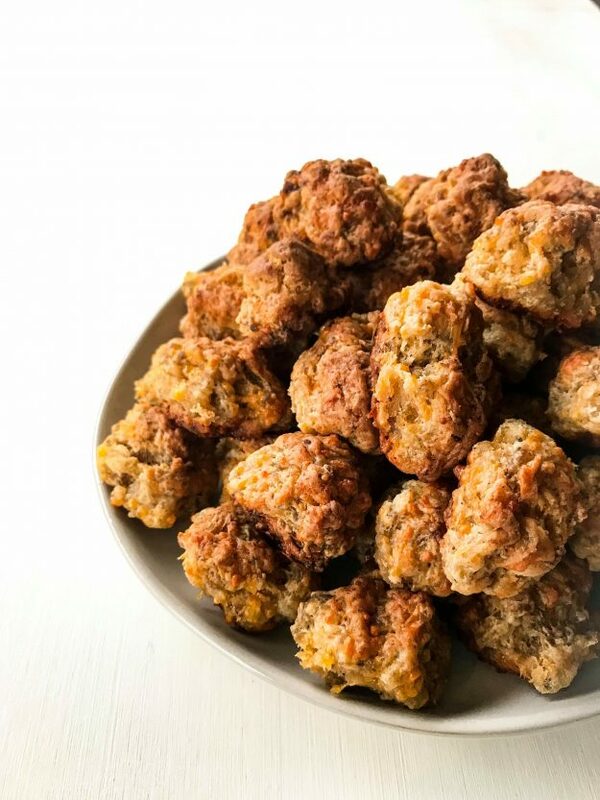 No matter if it’s a potluck, family reunion, holiday party, or Sunday supper these cream cheese sausage balls are always the first thing to be devoured. 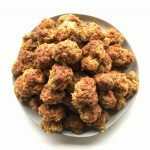 These cream cheese sausage balls don’t require a dipping sauce but I get that sometimes you want a meal you can dip. My absolute favorite secret dipping sauce is my Sweet Thai Chili Sauce. It’s such an unexpected twist but oh so delish! 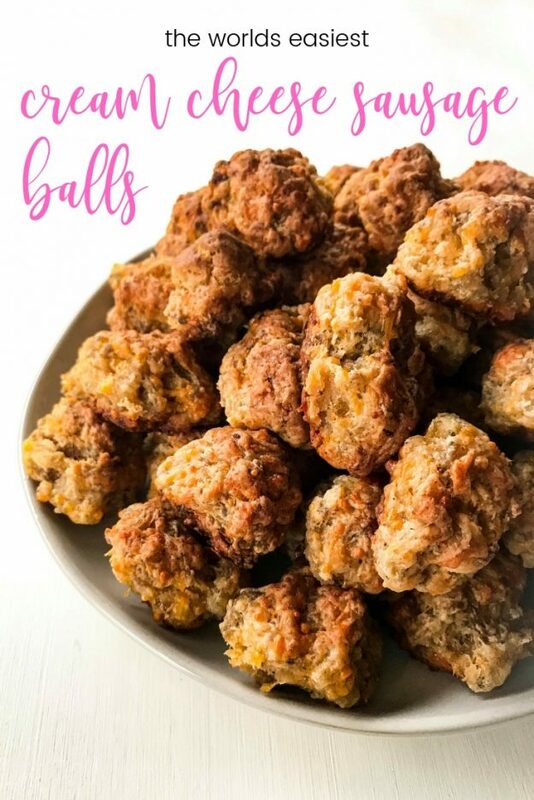 But you can dip them in anything you want. I’ve seen people use honey mustard or bbq sauce. On the rare occasion that you have leftovers, you’ll need to store them so that you can nibble on them in the middle of the night or the next day (if you’re that strong-willed). On the rare occasion, we do have some left over, I simply store them in a freezer bag and toss them in the freezer. I’d like to say they would last for at least six months, but we’ve never had any last more than a week. If you don’t have Bisquick or just don’t prefer it, you can substitute it. Any brand of pre-made biscuit mix will work. I’ve even seen people use Red Lobsters cheddar biscuit mix!